Winter is certainly approaching, and for November - the month of bonfires and fireworks – it’s perhaps fitting that the birthstones of topaz and citrine come in shades of orange and yellow, with a bright warm glow! Why not celebrate this Guy Fawkes night in style? The Jewellery auction on 4 November at McTear’s features some stunning gems, including a tremendous lot of topaz. Lot 172 features a stunning yellow topaz and diamond necklet. This intricate piece is formed by chain and openwork diamond set sections, with a large central oval topaz and smaller pear-shaped topaz drops. 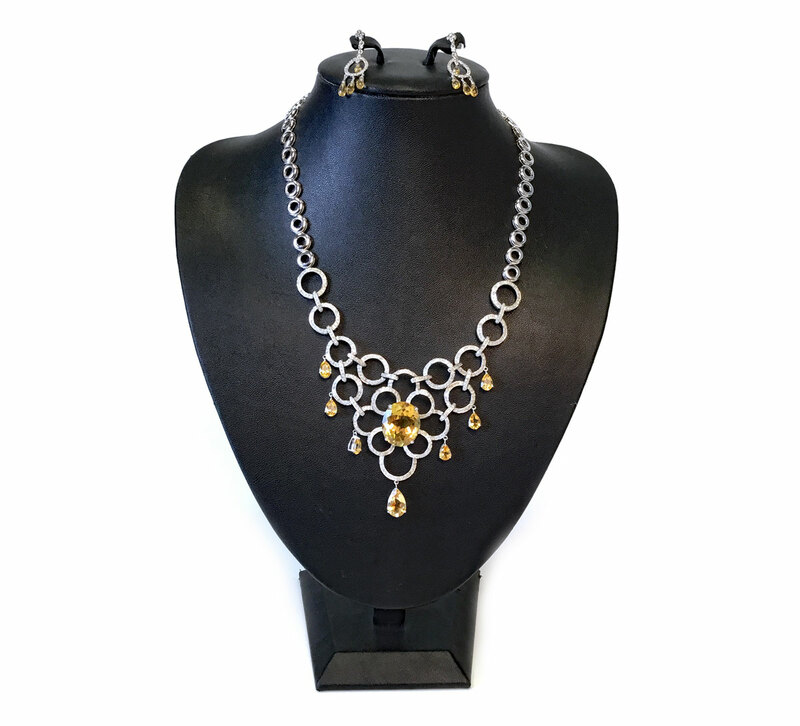 To complete the look, this terrific topaz necklace comes along with a pair of similar earrings, likewise adorned with diamonds and yellow topaz details. This pair comes with an attractive auction estimate of £1200 – 1800.